Swartz Brothers Grocery Store located at what is now 110 N. Main. 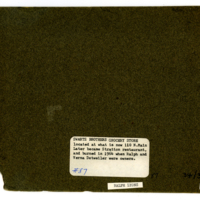 Later became Stratton restaurant, and burned in 1964 when Ralph and Verna Detweiler were owners -- label on back of photograph. 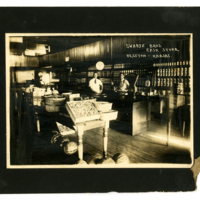 unknown, “Swartz Brothers Grocery Store,” Hesston Public Library, accessed April 19, 2019, https://hesston.digitalsckls.info/item/1373.